I was at the grocery store this afternoon getting mussels for dinner and this woman started talking to me. She was getting scallops but told me she had made mussels for dinner last night. She asked me how I was preparing them. Honestly I didn’t have a plan yet. 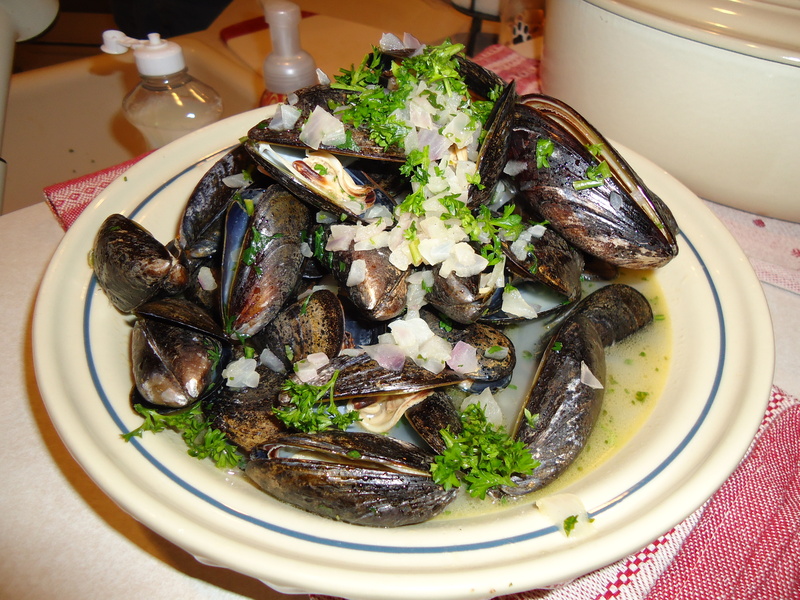 I just love mussels and thought I’d figure it out with whatever I had in the produce drawer. I felt like I couldn’t answer her question with that though. So I said I usually prepare them with sautéed fennel and white wine (which is true.) She gave me a terrified look and turned back toward the seafood counter. This was not the reaction that I was expecting. Surely if she was looking to share a successful menu with a fellow seafood lover, dinner must have been great. Did she think fennel was gross or maybe she didn’t know what fennel was. In any case, I decided that I should ask her how she prepared hers. This was a mistake. She turned around quickly and very stiffly said spaghetti sauce and wine and turned back around. Immediately I regretted saying anything. I was handed my mussels and told her to enjoy her scallops. This awkward conversation started me thinking. Has our culture of convenience brought us to thinking that something in a jar that is labeled “spaghetti sauce” means that is good to use in anything we deem to be “Italian.” There’s nothing wrong with the quickie dinner that you are too busy to think about. A box of pasta and a jar of sauce and bada bing dinner. I have been known to have the occasional emergency meal. I guess the real question is why would you take something as delicious as a mussel and smother it in a sauce that’s been sitting on a grocery shelf for an unknown amount of time. 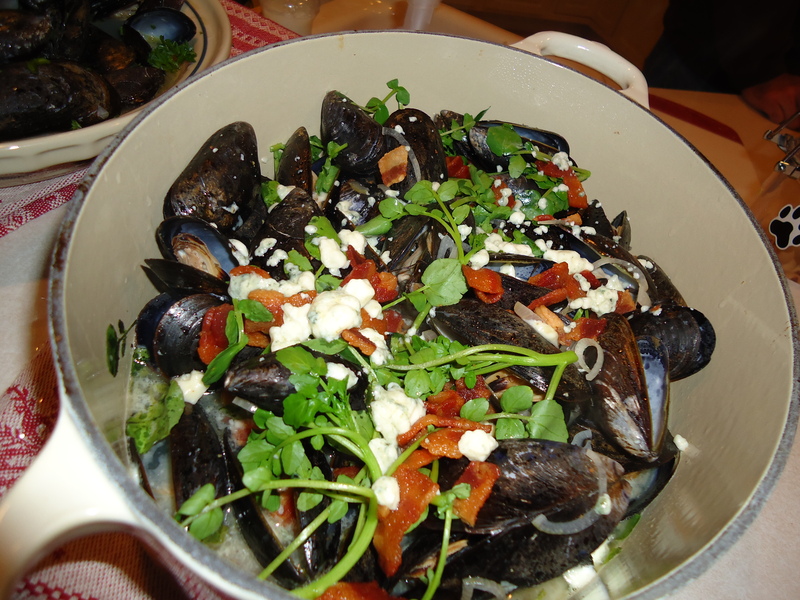 I’m all for mussels marinara, but jarred spaghetti sauce just won’t cut it for me. In a hot pan add the oil garlic and onions. Sauté until the onions are soft. 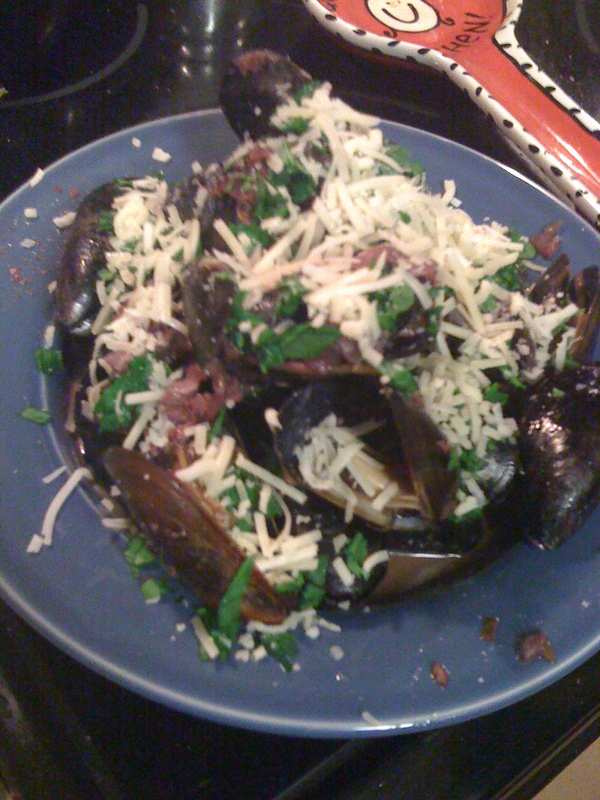 Add in the the mussels and wine and cover the pan to create steam. 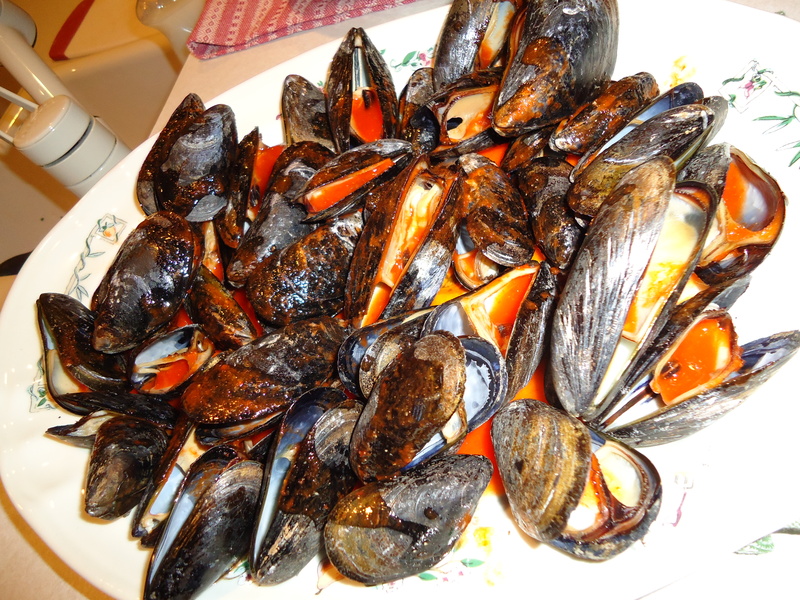 Cook for 2-3 minutes or until the mussels are just open. Add in the butter and swirl the pan. Add in the lemon juice, zest, parsley, and cheese. Season and put in a serving dish and garnish with toasted ciabatta bread. This was great. It was fresh and light and perfect for the time of year.